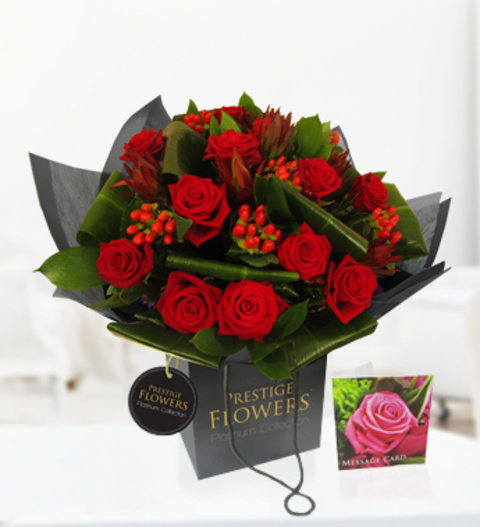 Allure is a luxury arrangement with beautiful red roses, aspidistra and winter berry. Allure is exclusive to our platinum collection and is dexterously arranged by our highly skilled florists. Allure is the perfect arrangement to send to a loved one. The arrangement is available for UK next day delivery! Chocolates may contain nuts.